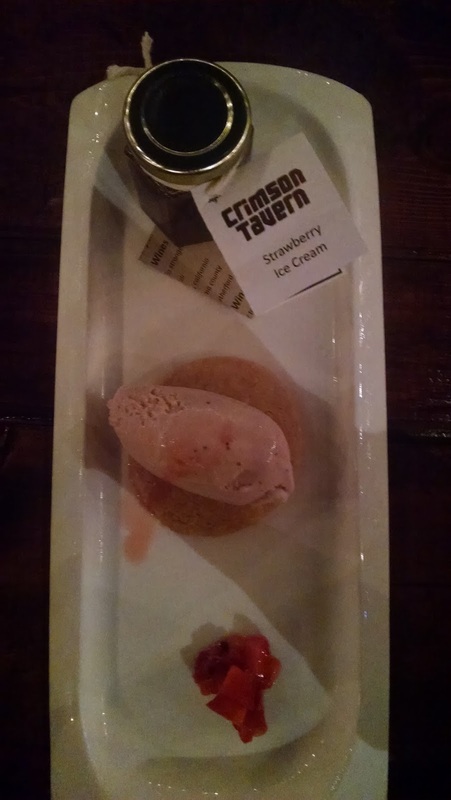 Recently I had the opportunity to attend a lamb nose to tail diner hosted by the Crimson Tavern. 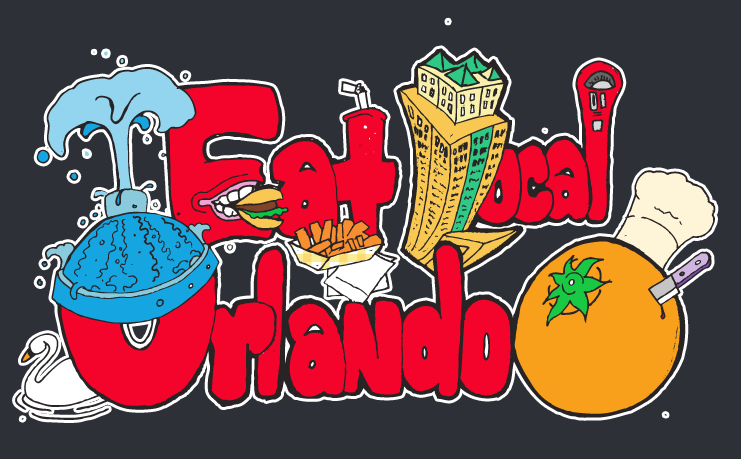 The Crimson Tavern is inside the Orlando Airport Marriott Lakeside. 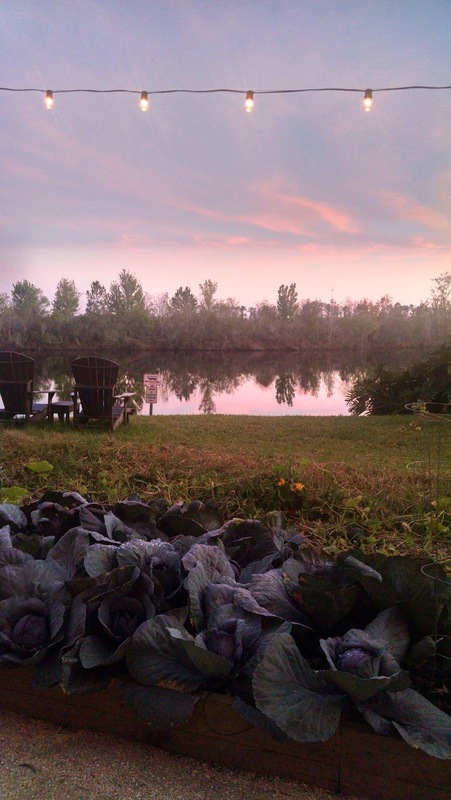 The dinner was served outside in the Chef’s Garden overlooking the lake. Preceding the dinner we had appetizers and cocktails inside the Crimson Tavern. 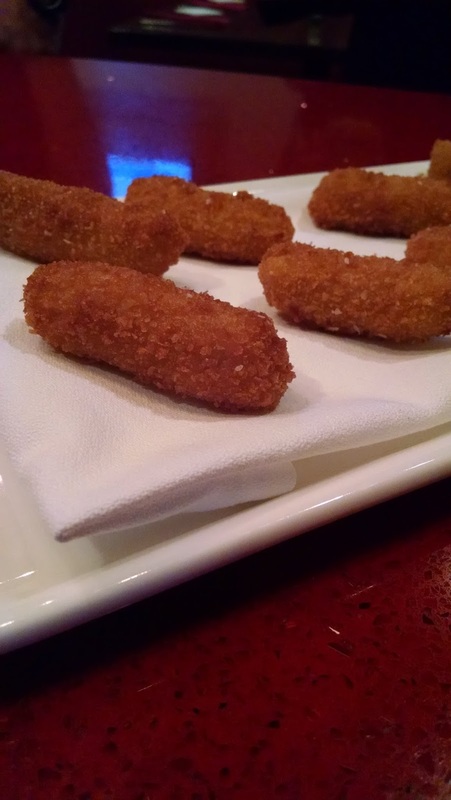 The appetizer was chickpea fritters. These fritters were nicely done and not dry unlike other chickpea fritters I have had. 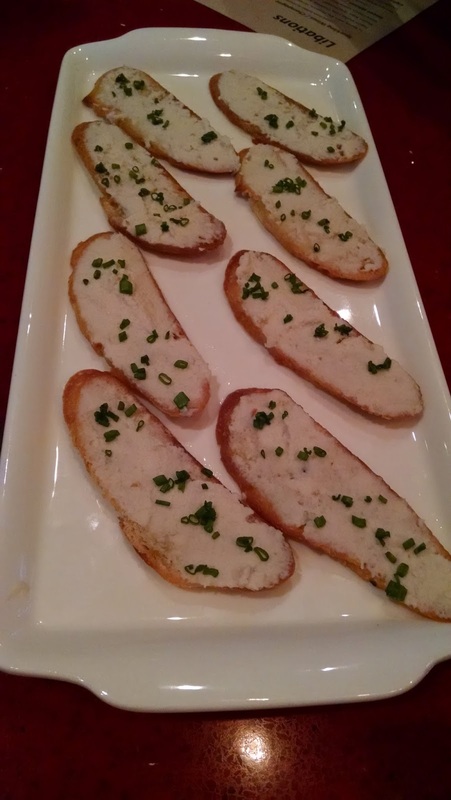 The other appetizer was smoked trout mousse. 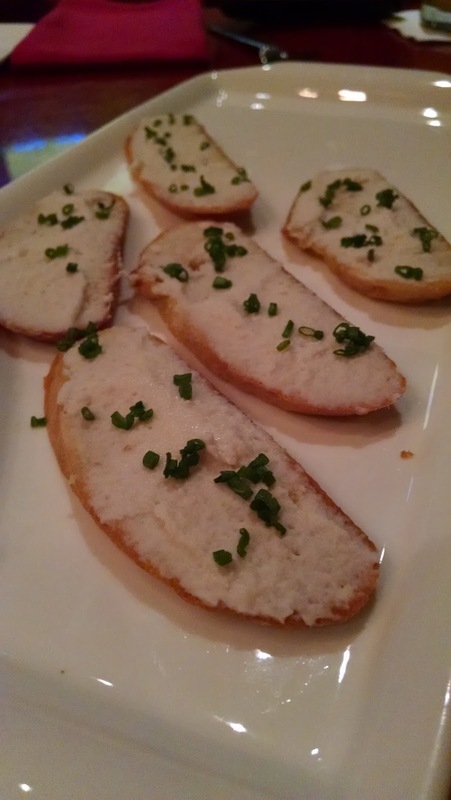 The mousse was mild and not overly fishy with a slight smokey flavor. Both of these may be offered as appetizer specials. We then went outside to the Chef’s garden. The theme of the dinner was Everything Lamb. The first course was head cheese with a carrot top pistou and had Blis 9 and puffed faro. The head cheese had a pleasant mild flavor and the texture of a pate. This was paired with a Peak Organic Simcoe Spring Ale. 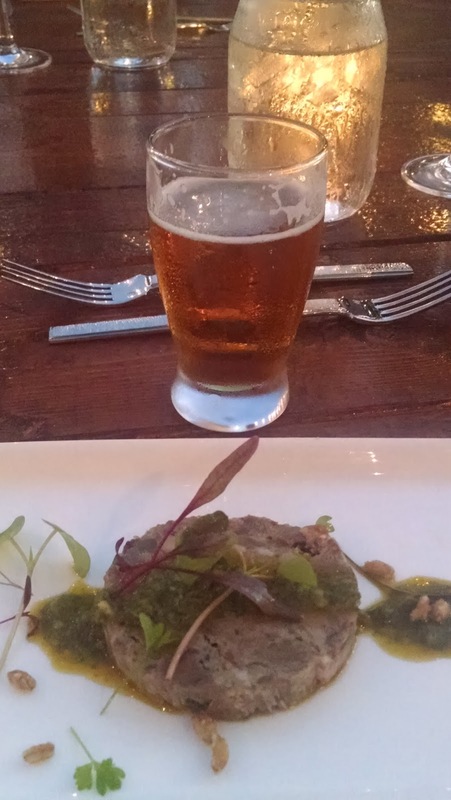 The hops were a nice contrast to the rich texture of the head cheese. The second course was a simmered lamb meatball with a pomorola and basil. The meat was ground leg of lamb and the tomatoes were from Apopka. There wasn’t any gaminess with the lamb meatball. The third course was a lamb tongue on hydroponic arugula with a green apple vinaigrette and house made bacon. This was paired with St. Supéry unoaked chardonnay. The tongue was thinly sliced and very tender. The tongue didn’t have a strong lamb taste, it was very mild. 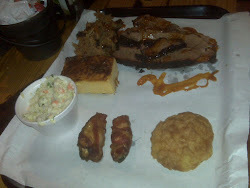 The tartness of the green apples went well with the smokiness of the bacon. There was a good balance of flavors in this dish. The fourth course was a crispy lamb belly with handmade ramen and local Kissimmee river oyster mushrooms and a pullet egg. It was a very delicate broth. The egg was well seasoned. 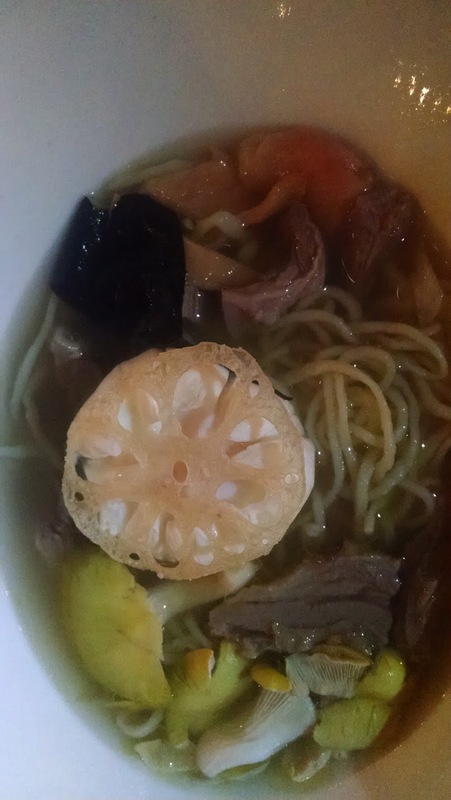 A lot of places don’t season the egg in ramen. 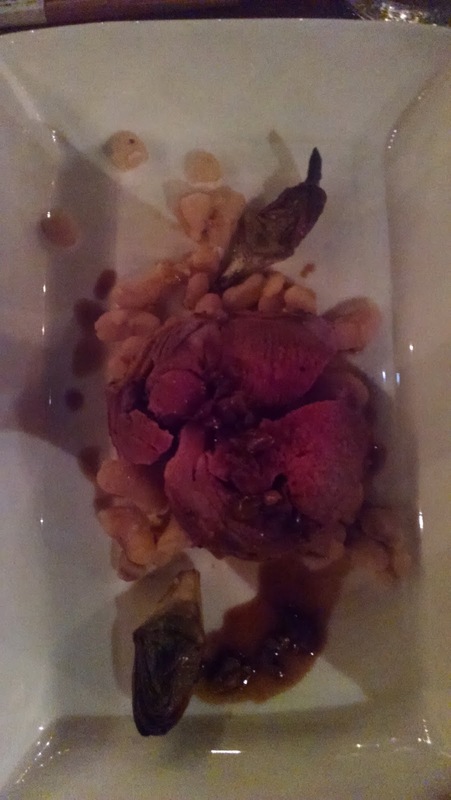 The fifth course was saddle and loin pieces with charred artichoke, arbequina olive, cannellini beans in a bone au jus. The Chef roasted the length of the lamb. The lamb stock was created by reduceing the lamb bones with olives, cinnamon, mushrooms, and star anise. You could really taste the olives in the au jus. 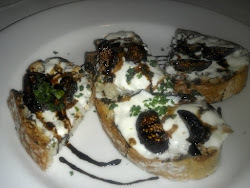 This was paired with a Parducci True Grit Reserve Petite Sirah. This was my favorite pairing. I loved this wine. Lamb and petite sirah is a classic pairing. 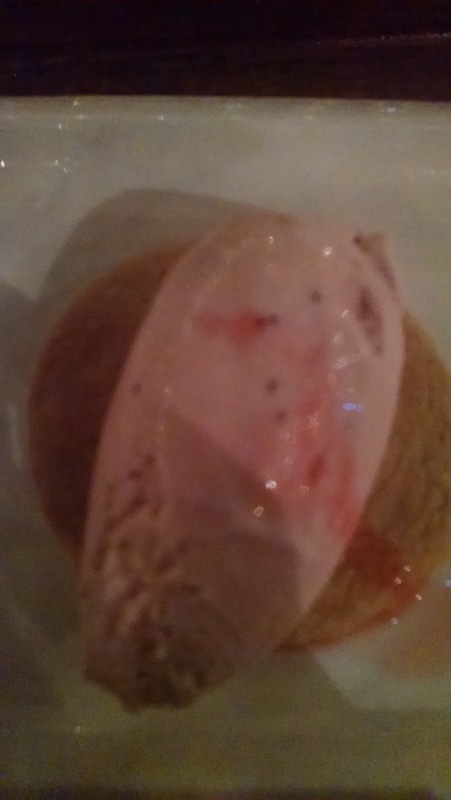 The dessert course was a strawberry gelato with a cardamom shortbread cookie. The gelato was hand spun using a Florida strawberry preserve. Along with the gelato and cookie there was a salad of Florida strawberries that were macerated with sugar and mixed with house grown basil. 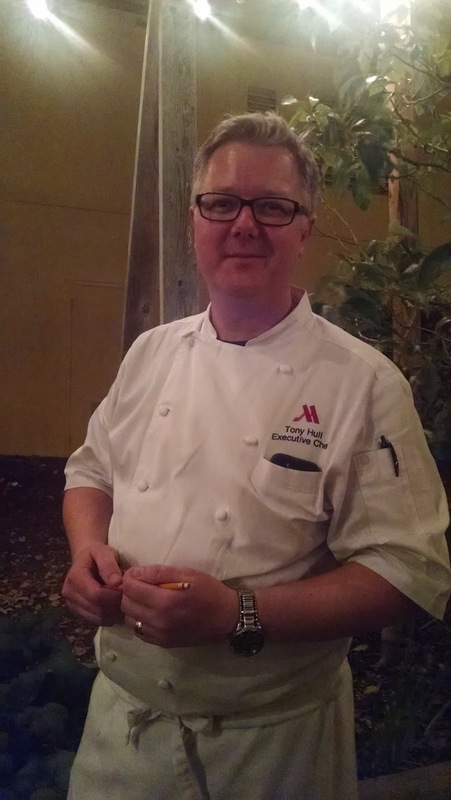 After dinner Executive Chef Tony Hull took us on a tour of the raised garden beds. 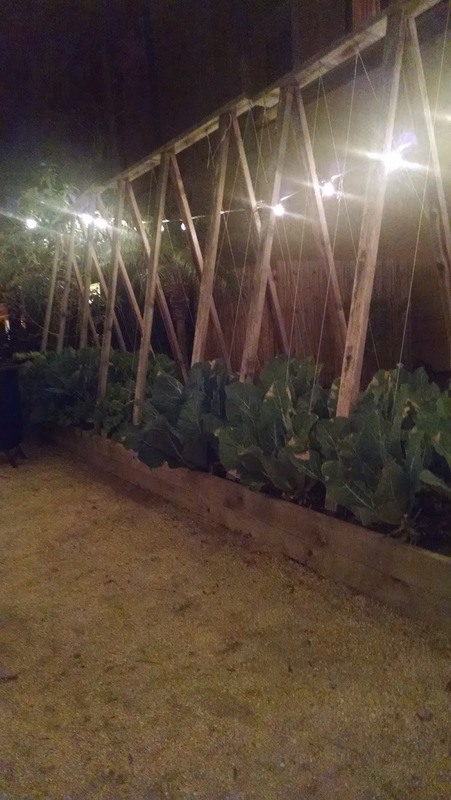 They use what they grow in the garden in the restaurant. 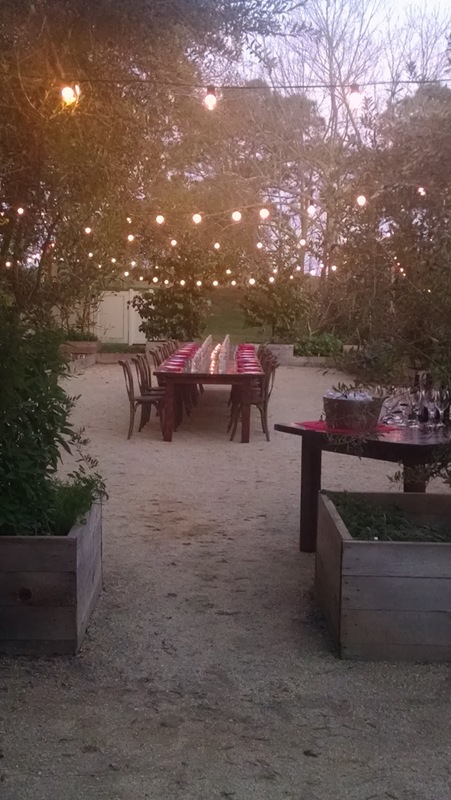 This is a really unique spot for a special occasion dinner with a lovely setting and an emphasis on local food.